The relation between siblings is celebrated and revered since the age-old times. Brothers and sisters share a special relationship that should be commemorated with the exchange of gifts. Bhai Dooj is a festival observed just after the completion of Diwali and is the perfect time to exchange gifts. Doing so will add more adoration and love to the relationship shared by brothers and sisters. Indeed, this bond is so special, intense and deep, that words can’t express it. 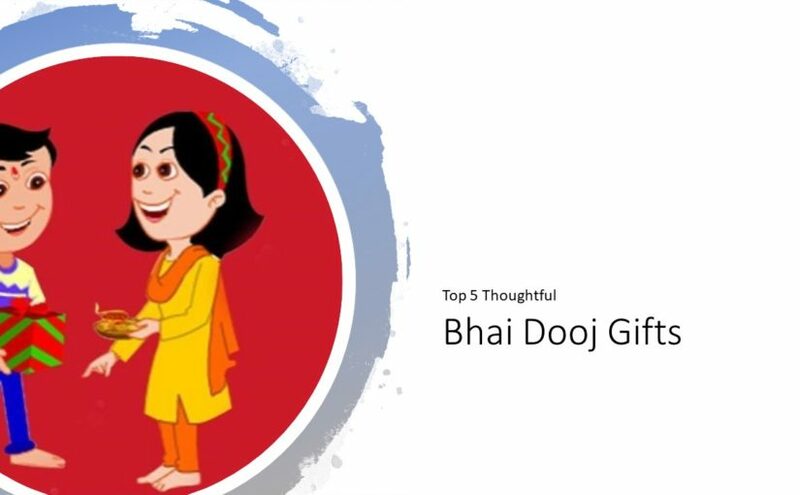 If your brother resides in Delhi, you should send Bhai Dooj gifts to Delhi. In the year 2018, Bhai Dooj will be observed on 9th November. As it is the time to apply ‘tikka’ to the forehead of your brother, you cannot ignore decorative Puja Thali. Similar to this, there are several other gift options worth considering. Want to make the celebration a revered and a large one? You may treat your brother by sending Bhai Dooj hampers that include chocolates, dry fruits and decorative cards. Sending chocolates and sweets on the occasion of Bhai Dooj will surely make this occasion even sweeter. Online gift delivery stores utilize express delivery service. Bhai Dooj is one such occasion when siblings share sweet memories to make this occasion even more special. You may choose an online gift delivery website and make the hamper of chocolates. Include all her favorite chocolates and gift her delightful moments. Along with chocolates, you may also find her favorite cake. A mouthwatering, decorative cake along with chocolates can make the gift even more special. Your sister can’t help but enjoy the eatables. If you want to send Bhai Dooj gifts to Delhi, this is perhaps the best gift. If you have photographs of any sweet childhood memory, then you may use that to make a personalized coffee mug. A customized mug will fabulously convey creativity where you may also use the image of your brother. Choose between stainless steel coffee mug, ceramic or a porcelain mug. A photo frame carrying the photo of you two will act as a pleasant surprise. The photo frame is one of the endearing gifts. Photo frames are available in plenty of sizes, shapes and material choices. Dry fruits are completely associated with celebration and festivity. Indeed, dry fruits like almonds, cashews, pistachios and resins are perfect snacking options. There are plenty of options in dry fruits. Choose dry fruits hamper which is exquisitely designed. Send flowers and chocolate/ sweets combo and delight the receiver. As Bhai Dooj is the occasion of merriment, delectable chocolates will work fabulously. You may even send chocolates with flowers. Send soothing and gorgeous flowers to your sister and let her feel special. Gifting jewelry, cookies, chocolates, flowers, cakes, perfumes, coffee mugs, apparels is one of the best ways to celebrate this occasion. Well, when it comes to gifting options, there is no end to it. You will find hundreds of gifting options with the online stores.